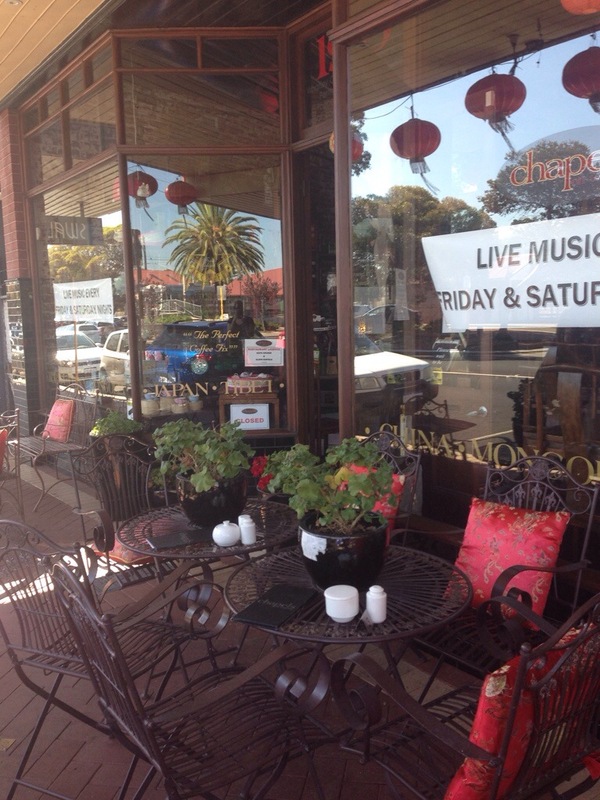 Chapel’s on Whatley is a beautiful, oriental styled cafe on Whatley Crescent in Maylands. It has a welcoming atmosphere, helped both by the wooden decor and artwork, as well as the friendly staff. We sat at a table overlooking the windows onto the street, giving us a view of the stylish interior and the outside world. The chairs are particularly beautiful, but not the most comfortable. 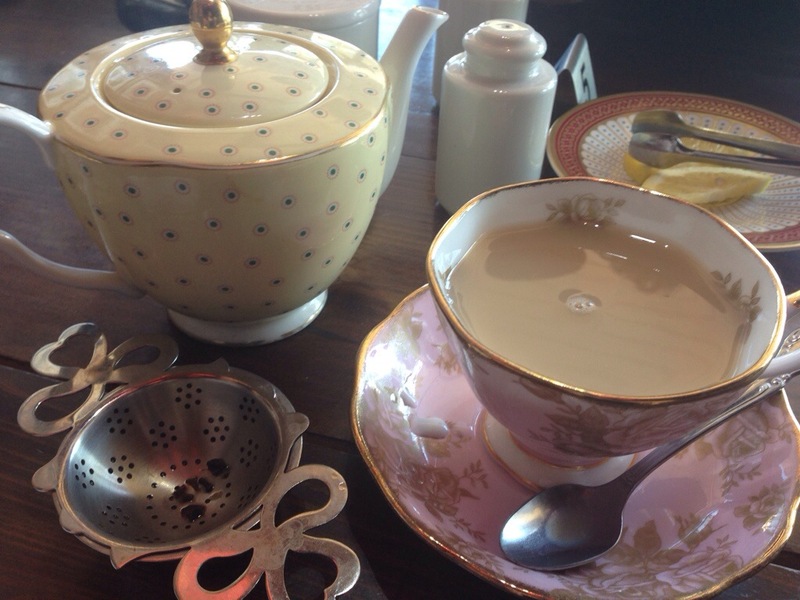 Our favourite part of coming to Chapels has always been their bottomless tea for $5.50. Yep you read that right, as much tea, and as many types of tea as you desire for only $5.50 within 2 hours. You can even buy your favourites to take home on your way out. We ordered a couple of pots to share and the owner was kind enough to suggest that he bring out the new pot when he noticed we were low. The owner was lovely, happy to help in any way he could, and his passion and genuine love of tea and the food they serve here was obvious. The crockery the tea came out in was gorgeous, each piece unique. The only shame of having tea out is that is impossible to keep it from stewing when it’s brewed in the pot. 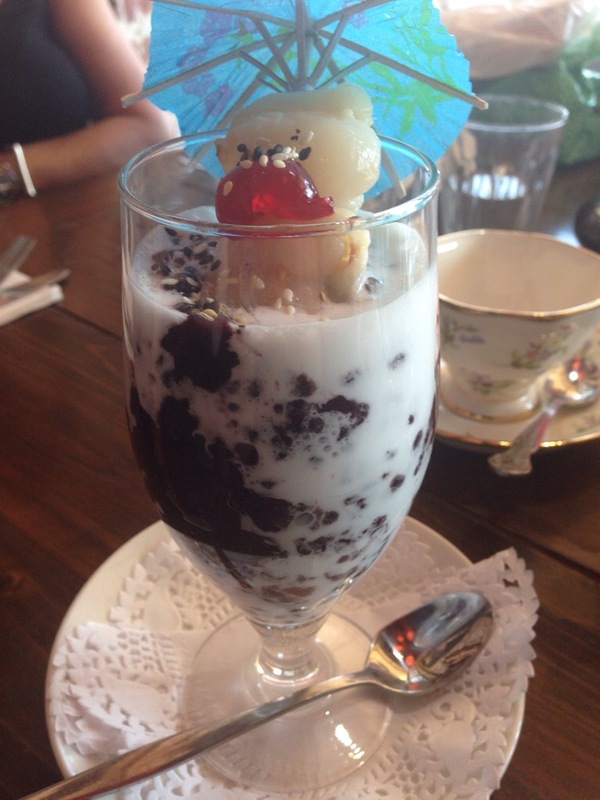 In another example of excellent service we discussed the Asian dessert of black rice pudding, something that we’d traipsed all over Bali to enjoy with the same owner. He mentioned that they usually have it available at lunch and dinner, but managed to get some made overnight for us at breakfast. Needless to say we were surprised and impressed by the excellent act of hospitality. The sticky rice pudding was good, though would have been better for a bit more time, something that didn’t bother us in light of the effort that went into procuring the dish. Its a tough ask to overlook bacon at breakfast, let alone bacon AND pancakes. The pancake stack was generous in size and overloaded with maple syrup. 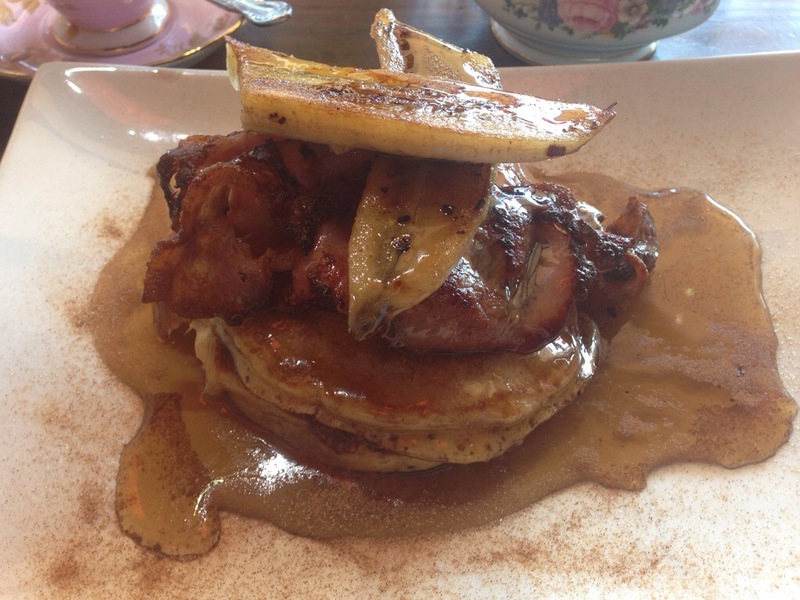 The bacon was nicely crisp, and the pancakes were soft in the centre with maple syrup soaking through the edges. The dish was super sweet, initially good but hard to finish, something like a creme fraiche would balance out the sweetness and really improve the dish. The best part of Chapels is the passion evident in everything they’ve put together and in the service they provide to their customers. Its worth checking out if you’re in the Maylands area. I think a great service makes the experience even more memorable. The desert looks amazing. It really does and it seems so hard to find service this good!